The Platinum series of TwinDrag® reels are designed and created for the most rigorous offshore fishing on the planet. Engineered to deliver the strength to subdue larger gamefish with ultimate stopping power. These reels are made out of the highest-grade materials to last for a lifetime of hard fishing.  The Dauntless was designed as our flagship reel of the small reel – big fish focus. Based on the already proven Boss Extreme series and designed with Accurate’s exclusive stainless steel anti-reverse bearing and two synced dogs, these reels deliver the ultimate stopping power in a small package. 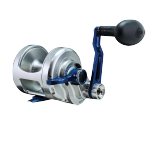 The Boss Extreme series was the original line of TwinDrag® reels. This series was designed exclusively for use with braided lines when it was just gaining popularity. The strength of the TwinDrag reel combined with the line capacity from braid launched the small reels – big fish movement. The Boss Extreme was the foundation for the other TwinDrag® reels that followed in its steps. 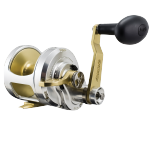 The Fury series of reels is our entry level model created at a more affordable price for those anglers looking to purchase their first Accurate product. 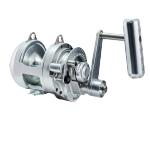 Made of the same high-quality materials as the other series, this single drag reel is designed to meet the needs of anglers world-wide. 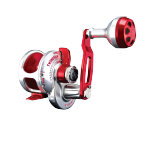 The Valiant series of reels were designed with light weight, precision, and power in mind. The curved arch design of the sideplate and the frame creates a lightweight and structurally strong reel body. The Valiant is built with the same high-grade materials we are known for and feature the TwinDrag® mechanism.  The only TwinDrag® spinning reels available in the fishing industry. Designed and developed with maximum stopping power for those hard fighting gamefish. Built with high–grade materials like our conventional reels with built-in power and strength that Accurate reels are known to deliver. True big-game spinning reels. 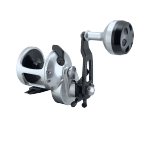 The Tern is Accurate’s first ever star drag reel. Star drag reels are inherently lacking in the drag department. The creators of TwinDrag set out to make a TwinStarDrag and a new innovation was born. The first ever TwinStarDrag (patent pending) is our answer to the problem. This reel features CVX to make it the lightest, strongest and most castable star drag on the market. All Accurate reels are Made In America.